Honeywell has announced the availability of Solstice® L40X (R455A), a refrigerant suitable for medium- and low-temperature standalone applications such as hermetically sealed systems in refrigerated plug-in type-cabinets. Solstice® L40X provides up to 3 percent higher capacity and up to 6 percent better efficiency at low temperature than the current, widely used refrigerant R-404A. Chillventa opened its doors this morning with lots of visitors from across the world visiting the Climalife stand (516 in hall 7). 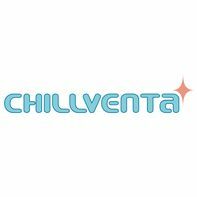 Climalife will be at Chillventa 2016, will you? Climalife are pleased to be exhibiting at this year's Chillventa, 11-13th October 2016, on Stand 7-516 in Hall 7. What does F-Gas mean for the refrigerant market over the next two years? Find out more with our simple 2018 F-Gas Challenge Infographic. As the F-Gas phasedown of HFCs takes hold, R-404A will be one of the first high GWP refrigerants to be affected. 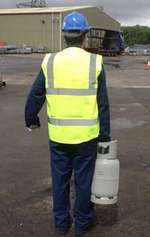 Quota = the total quantity of HFC refrigerants allowed to be placed on the market expressed as CO2 Equivalent Tonnes. Climalife : RAC Cooling Awards Finalist! Climalife IDS Refrigeration are delighted to have been shortlisted in four categories at this year’s RAC Cooling Awards.